Published Oct 7, 2010 by Peachpit Press. Part of the Learn by Video series. 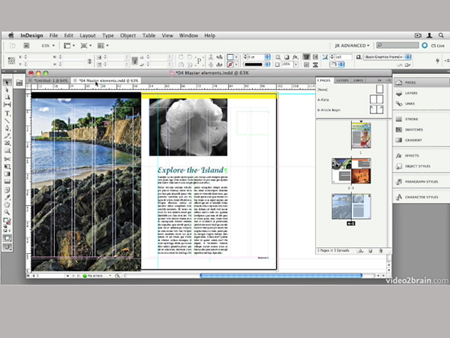 This complete training program from Adobe Press and video2brain combines over 18 hours of exceptional video training with a full-color 120-page guide to teach you the fundamentals of InDesign CS5 as well as the basic principles of page layout.